ISLAMIC FINANCING HAVE SHOWN SUSTAINED GROWTH. WHY? 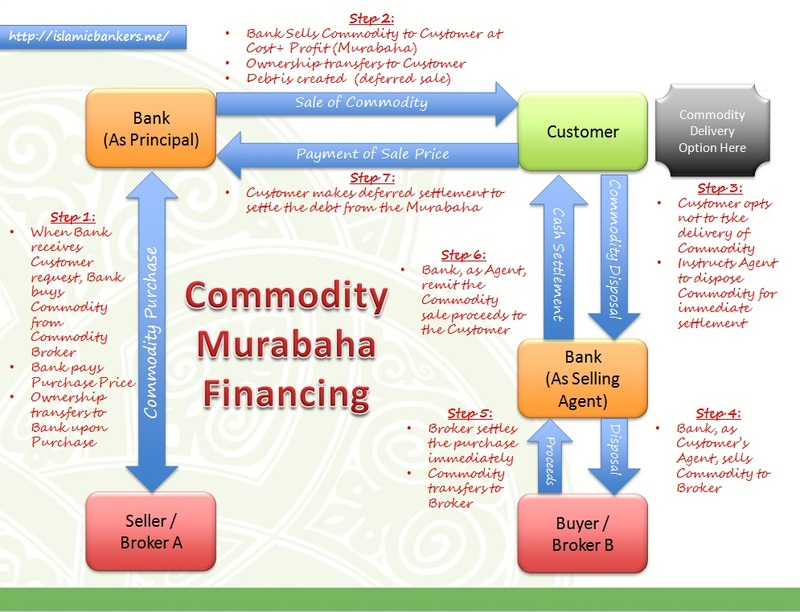 In the course of our job, we are often asked what are the value proposition and selling points of taking an Islamic Financing product as compared to a conventional loan. Are there certain conditions to qualify a person for taking Islamic Home Financing? There are misconceptions that Islamic financing are expensive, but if that is true, why would there be a growth in Islamic financing? Would people have to be extremely religious to accept an expensive / inferior product no matter what just because it is Shariah compliant? There are certain features in-built in an Islamic structure that gives benefits that appeal to certain types of customers, based on their needs and requirements for the product. On the flip side there are also consumers that prefer other features not possible for an Islamic structure. It depends on your requirements when it comes to your usage. No Lock-in Period or Early Settlement Penalty for financing . In the banking world, there is a lot of effort to on-board a customer for a particular financing, and home financing is one of them. The process can take 3-9 months and involves a lot of people and it is natural for a bank to want to earn income as much as possible, as long as possible from the customer. That would not happen if the customer settles early. The bank will impose a minimum “lock-in” period of between 3-5 years where customers are prohibited to sell, settle or refinance their houses. If they do, an early settlement penalty (usually 1.0% on the amount to be settled) will be imposed. Under Islamic financing, this feature is not generally accepted due to the concept that “Debt Cannot be Forgiven, even in Death”. Therefore to impose a penalty when a customer is attempting to pay off its debt remains an issue in the area of Islamic Banking. This is outline in the Ibra (Rebate) Guidelines issued in 2011 which prohibits such charge (Item 8.3). But that is not to say any penalties cannot be charged for the product. Such allowances are given if the product is sold based on a promotional rate, for example 2.0% p.a. lower than the normal financing rate for special campaigns or conditions. In such cases, the bank can recover the “discount” if the financing is settled within the lock in period. Actual cost or loss incurred by bank can be recovered (to avoid abuse). Another example is when a bank absorbs the legal fees for the financing, that actual expense can be recovered if early settlement is made within the lock in period. This Shariah requirement have proven popular for customers seeking short-term financing (plans to upgrade their properties within a few years) as well as property investors seeking for options to dispose properties when opportunities arises. 100% Stamp Duty waiver for Home refinancing. This feature is available in Malaysia where the government agrees to allow for a 100% stamp duty waiver for Islamic Financing when it is refinanced from a conventional bank. This is to encourage the refinancing market as it appeals to customers seeking additional financing on a property’s capital gains. For example, 10 years ago the customer took up a loan for RM500,000 on a RM600,000 property which is now worth RM1,000,000. As the balance outstanding on the loan now is RM300,000, the customer is seeking another RM400,000 cash to finance a renovation. If the customer intends to move the loan, the customer will incur a stamp duty for RM700,000 (i.e. RM300,000 existing + RM400,000 additional). However, moving it to an Islamic bank, the existing stamp duty for RM300,000 will be totally waived and only the additional (top-up) amount of RM400,000 will incur the normal stamp duty. This waiver is applicable for all refinancing from conventional bank to Islamic banks on the amount refinanced (provided the original loan has already paid for the stamp duty prior to the refinancing). This applies for individual customers as well as companies. Ceiling Rate Price Protection. While many years ago, this feature is mis-sold by many sales person as being oppressive and expensive, with the current climate of changes, this have instead become a competitive benefit for Islamic Banks. The key changes that happened in the past few years was first the Ibra’ (Rebate) guidelines issued by BNM in 2011 and also the Reference Rate Framework in 2014 (Item 8.10). The Ibra’s guidelines says it is ok for the bank to charge a ceiling rate to formalise the Aqad, but the day-to-day charging of the customer must be based on a mandatory rebate mechanism where the effective rate is at par which what a conventional normal benchmark rate is. This means that the customer is not overcharged. More importantly, the customer will not be charged more than the ceiling rate should the normal benchmark rate increase to above the ceiling rate. This provides the customer price protection against high fluctuations of the benchmark rates. Some might say that there is no way rates will breach the ceiling rate but if you look at the length of a financing product of up to 30 years, who is to say the benchmark rates won’t breach during an adverse economic cycle? More importantly, the Reference Rate Framework allows for punitive pricing where banks are allowed to increase the loan/financing rates based on customer’s risk profile to up to Effective Rates +3.50% p.a. If a commercial financing of BFR + 3.50% is about 10.30% p.a., that is not too far away from a normal ceiling rate ranging from 12% to 15% p.a. So, with a Ceiling Rate you get the best of both worlds; if the benchmark rate is below the ceiling rate, you enjoy the benchmark rate (same as conventional loans), and if the benchmark is above the ceiling rate, you only pay based on the ceiling rate (not the same as conventional loans). The top 3 reasons above are some of the main drivers for Islamic Financing. For item 1 it is the BNM effort to provide Islamic Banks with a competitive edge based on Shariah instructions. For item 2, it is the government of Malaysia initiative to provide stamp duty incentive for a specific segment ie refinancing segment. For item 3, it is the Shariah requirement to have a ceiling rate which protects the consumer from uncertainty. All these 3 elements come together to provide a competitive advantage to banks and benefit to consumers. There are a few smaller advantages to an Islamic financing structure (based on specific products such as No Commitment Fees for Islamic Revolving Credit or Overdraft), but it is too many to list down. Granted, these features are incentives and assistance by relevant parties to make the products attractive, and may not be applicable for products outside Malaysia. In conclusion, the above demonstrates the ability to take a Shariah requirement to make it into a benefit for consumers. This aligns with the idea that Islamic Banking products must contribute to the sustainable practices that offers fair an equitable solution to consumers.